The Kai Pure Komachi 2 santoku/Asian chef's knife is a real eye-catcher. Made of high carbon stainless steel, Komachi 2 knives are color-coded to prevent cross-contamination and make it easy for you to choose the right knife for the job. Colored with a food-safe, FDA-approved resin and non-stick coating, Komachi 2 blades are made to glide through food easily, make cleaning simple and prevent corrosion. 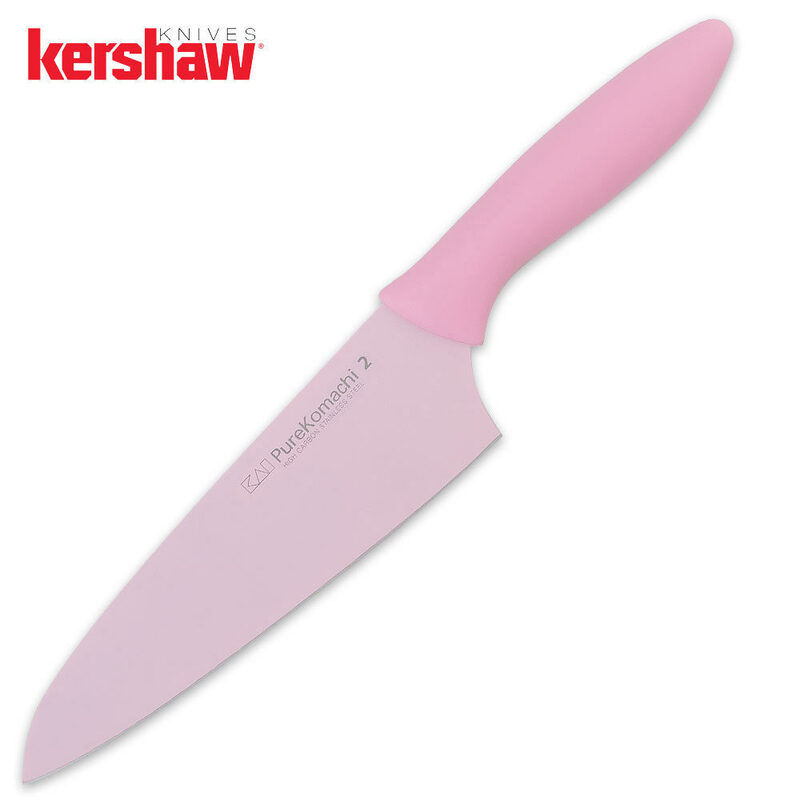 Kai Pure Komachi 2 knives also feature ergonomically contoured, lightweight and comfortable handles. To protect the colorful blade coating, avoid cutting frozen foods or using scouring steel when cleaning. 6 1/2 in. blade.